UMX Soft Touch, Adjustable and Detachable Custom Breakaway Lanyards With Custom Printed Logos. The LY-503HD-DL-DB soft touch, adjustable and detachable custom lanyards have almost every function of which you are looking for. Not only detachable, but also come with adjustable beads, safety breakaway buckles and a variety of easy add-on attachments, like badge straps, plastic hooks, plastic rings, metal key rings, cell phone string connectors and more. 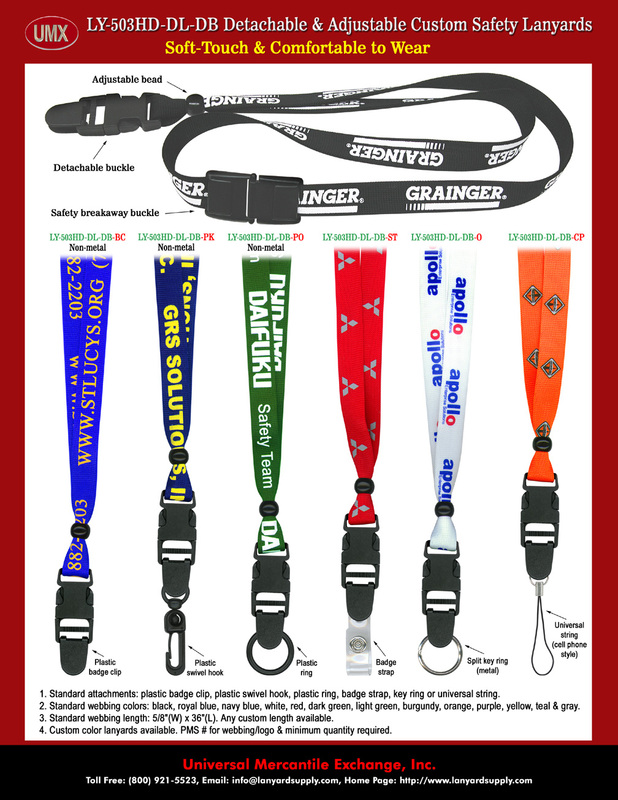 You are viewing Lanyards > Soft Touch Adjustable and Detachable Custom Safety Lanyards With Custom Printed Logos.